It’s that time of year again – the Starnet Design Awards are here! The awards ceremony will take place during Starnet’s Annual Membership Meeting on April 27th-30th at the Omni La Costa Resort & Spa in Carlsbad, California. 2016 was a terrific year for Interior Surface and we had several flooring success stories. It’s been an amazing experience working with all our clients and helping them create unique designs for their commercial floor space. 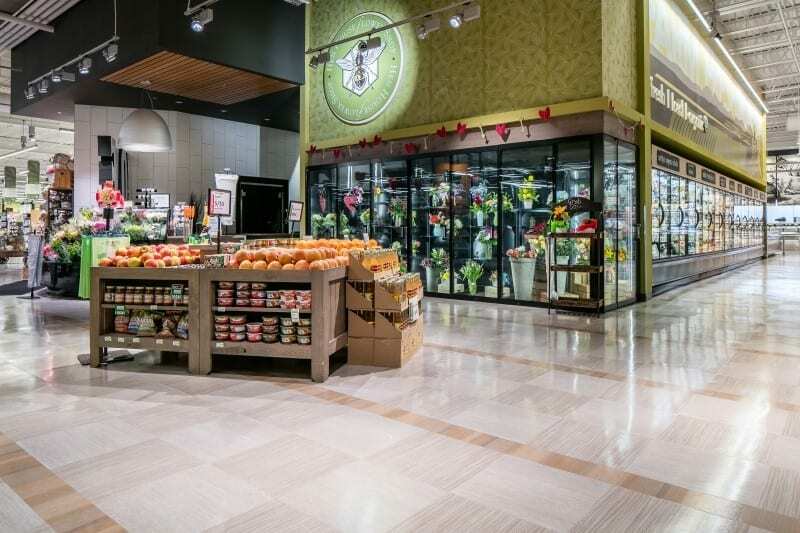 To preserve the modern open feeling of the building as well as to create the illusion of wider aisles, Armstrong Natural Creations LVT was selected to flow throughout this facility. This unique and versatile LVT was creatively installed in a perpendicular configuration using an array of repeating inverted patterns and textures to add graphic interest to the space. 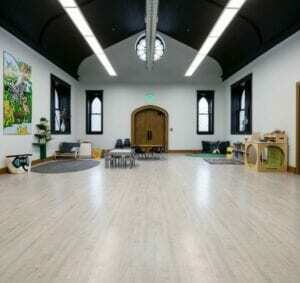 Click here to view more Ball’s Hen House images. These striking geometric patterns paired with vividly colored tile result in a creative way-finding strategy helping children get to designated areas throughout the school. 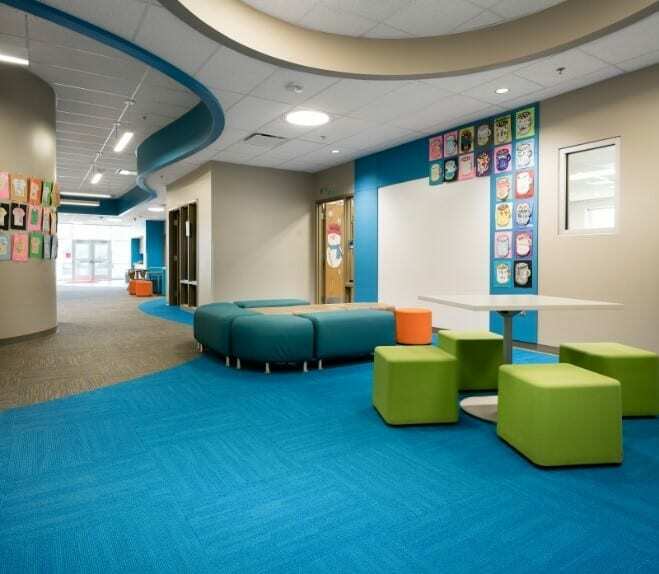 The diligent execution of this carefully devised design concept has given the children, teachers and Holton community a “Timeless School Design” customized to meet their educational needs for generations to come. Click here to view more Holton Elementary School images. To compliment the ageless aesthetics of the building’s design, the flooring selections was chosen to withstand heavy foot traffic over a long period of time while remaining visually appealing. 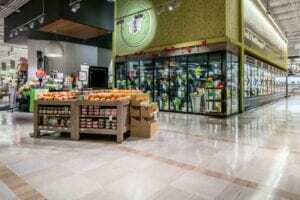 Johnsonite Minerality Rubber Tile, Masland Short Circuit Carpet Tile, and Alas Lineage Broadloom were among the carefully selected products that met these sustainability requirements satisfying this diverse group of customers. Click here to view more St. Paul Episcopal images. Since 1998, the Starnet Design Awards have recognized dynamic relationships between Starnet Members and the A&D community by spotlighting the innovative use of flooring in commercial design. This year, they continue to celebrate the creativity and professionalism of the A&D community and their Members, as well as the quality and versatility of Starnet Preferred Vendor flooring products. Please keep your fingers crossed for us and our A & D and Vendor Partners. More pictures and project information about these entries are coming soon.